Congratulations to AE Natural Meats, a family-run farm in Mount Albert, for receiving the Excellence in Small Business Award from the East Gwillimbury Chamber of Commerce earlier this month. Judie and her husband, co-owner Dr. Michael Zajac, an equine veterinarian, have made great strides to get where they are today. Initially, the two bought the farm in York Region to breed horses, which they did on a large scale very successfully for a couple of years. But after changes in legislation affected the racing industry, they aimed to reinvent themselves, and moved their focus to the natural meat industry — “Grass Fed without use of Antibiotics, Hormones or Steroids” the website reads. They began small with sheep about 8 years ago, then eventually brought in some chickens, and then cows, which are fully raised outside on grass. Over the years, their dedicated work paid off and the farm continued growing, and Judie is grateful for the support they’ve received. 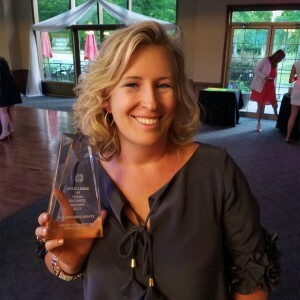 In February, Judie also got nominated for the 2018 Women in Business Award from the Chamber. She is now on the Board of the York Farm Fresh Association, and the Committee for Tourism. Exciting connections made include a butcher in Toronto who buys their product, as well as the Woodbridge Farmers’ Market reaching out to them — they’re currently the only meat farmer vendor now at that market. They are also in negotiations with some higher-end restaurants. 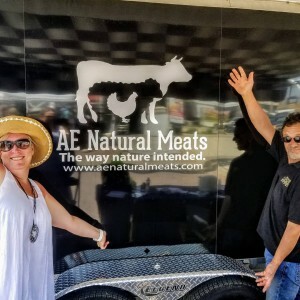 Of course, you’ll also find AE Natural Meats at the East Gwillimbury Market. Find exact dates on their website here. Visit AE Natural Meats on their website or Facebook page here.